I haven’t had my blog for very long yet, but already I am seeing a HUGE upside to starting one: You have to get stuff done so you have something to blog about! I have always been pretty bad about starting a project and then losing interest in it half-way through, putting it aside, usually to forget all about it, only to start a different project. ( I like to call this ADOSOD= Attention Deficit Ooooh Shiny Object Disorder) 🙂 When you are writing a blog about quilting you kind of want/need to have pictures of quilts to share. When you are trying to publish a blog once a week or so, you really don’t have time to start a project only to set it aside and start a new one….see where I am going with this?! So my track record on sticking with a project has improved tremendously! Another thing that used to be my downfall was that I would spend way too much time surfing the Internet looking for new projects ( as if I needed any more!) I LOVE Pinterest and have many, many wonderful quilt patterns and inspirations for new quilts pinned on my boards. But somehow it is just better to actually work on a project than to pin one. MInd you, I will never give up pinning completely, but now I tend to have a better balance between pinning and quilting :). This past week I got quite a lot of quilting in…yahoo! Our youngest was entertained by having a friend over two different times over the long weekend so I was able to sneak in some sewing, while still being able to supervise. 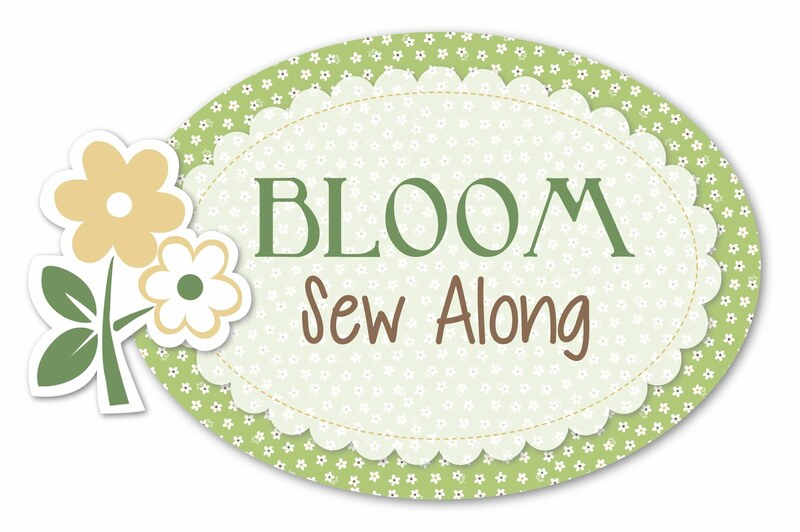 I am participating in Lori Holt’s BLOOM sew-along and this was the week for block number 5 already! I was able to get blocks number 3 and 4 quilted and sewn into a row,and then made block 5 and got it quilted!Cute, isn’t it?! I love how colorful it is going to be. It will be perfect to hang on the wall this Spring and Summer! I also started the All In A Row project by making this row: This is the row in the book and here is my version ( all quilted and everything, OF COURSE!! )It even looks cute from the back! Isn’t it the cutest?? I just love that Scottie Dog! My colors will be a bit less bright because I’m sticking with the colors I chose last week, but I think it will be adorable anyway! And finally, I got to do a little more stitching on the project from Patchwork loves Embroidery.It is almost finished and I am really loving it. The version in the book is all one color, which is really pretty, but I wanted to make it a little differently. I still don’t know what it will be turned into, but that’s okay. I am sure an idea will come to me! Next > Time flies when you are having fun! 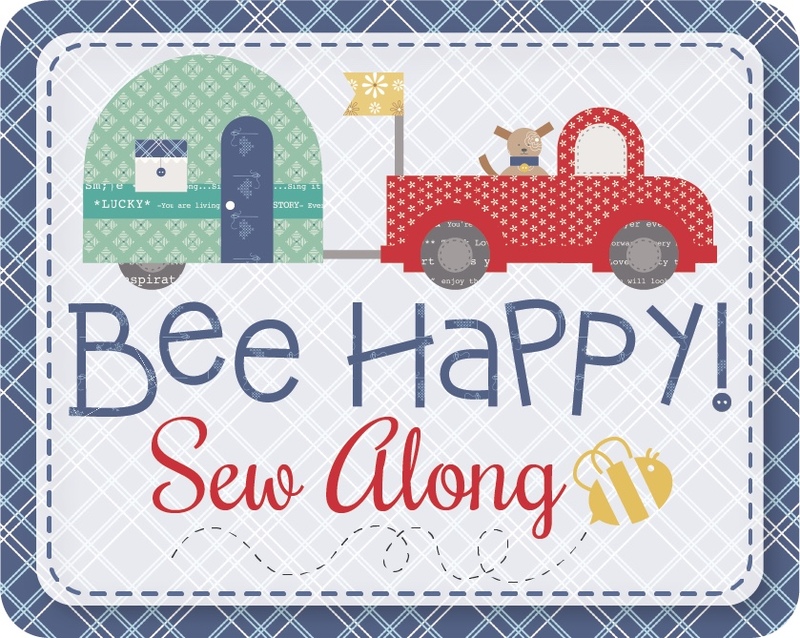 I love the way you are quilting as you go – I really need to try doing that!